It is a secured card with good interest rates when compared with other secured cards. It can improve your credit history. It is also good for rebuild credits. $600 worth phone protection service is amazing. There are not any good promotions with card. There is not much unique services with the card except Phone Protection. No rewards and no bonus points. 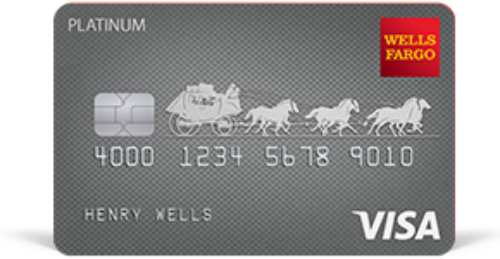 Wells Fargo Secured Credit Card is one of the most popular credit cards in United States. This card helps you to rebuild credit and build credit. There are some good advantages and also some disadvantages of the card for consumers. We are going to mention about those for in our reviews. The card’s purchase APR is 20.99% and this is not a bad rate for secured credit card. Of course there are better options but this is almost below average and this is good. If you want a card for rebuilding credit quick, this card can be a good option for you with this purchase rate. Balance transfer interest rate is same with purchase and this rate is not also bad as well. However there can be small promotions for interest rates of the card for making it beneficial for consumers. Discover it Secured has good opportunities at credit build credit cards. There can be some good options similar to Discover cards. Cash Advance Rate is unfortunately is very high. We recommend you to not to have this service with your card. Cash Advance APR is 25.99% of Wells Fargo Secured Credit Card. This can be a serious problem for you when you want to pay your bills. Secured credit cards are not generally providing bonus, rewards and cash backs to consumers. There are a few exceptions though. However Wells Fargo Secured Credit Card doesn’t also provide any bonus, rewards or cash backs. If you are seeking these options in secured card, you don’t have much options though. Annual Fee of the card is $29. This is not very much. Actually it is good for consumers when you compare it with other secured cards in United States. Foreign transaction fee of the Wells Fargo Secured Credit Card is 3%. We don’t like foreign transaction fees at credit cards. However this feature is very optional for your choice. I mean if you are purchasing from abroad very often, you will need to pay 3% extra for your each payments. So this card won’t be very beneficial for you. If you don’t purchase from abroad or online shops with foreign currency, you can ignore this feature of the card. Cash advance fee is minimum $10 and maximum 5%. These fees are very high and sometimes they can be much higher than interest rates. We recommend you to no to use this card for cash advances. Balance transfer is also same with Cash Advance. Just the minimum fee is $5 which is average. If you want to build a credit history or if you are seeking to rebuild your credit, Wells Fargo Secured Credit Card is going to help you about that. However you will need to think about foreign transaction, cash advance, balance transfer fees before applying the card. The cash advance APR is also very high. 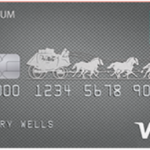 We believe that Wells Fargo should make some improvements for the card. Since Discover it has released secured cards with very good bonus and rewards opportunities, consumers are interested with that card more than Wells Fargo Secured. However purchase APR and Balance Transfer APR are still making this card very attractive for consumers. If you have no business with transfers and cash advances, this card can be a good choice for you. It is because both operations have very high interest rates. Please don’t forget to consider foreign transaction fee of the card, if you purchase from abroad very often. You can watch the video below which has been published by company to learn more about this product. You will need to deposit some cash to create your credit limit with this card. Eg: If you deposit $300 , your credit limit will be 300 dollars with secured credit card. $25 dollars annual fee is very reasonable for a secured credit card. $600 worth phone protection is also available and there are also travelling goods. You can see Wells Fargo Secured Credit Card reviews below. You can also leave a review if you would like to share your experiences and thoughts about the card. All credit card rankings and scores are completely user-based. So please leave an honest review for the card to help other consumers. If you also have any questions related the card. It is useful. It is a card from a reliable company.